You have been selected by Her Majesty for an important mission suited only to the best of the best. Britain needs the help of pirates and your aim is to help the country take control of the vast greatness of the ocean! 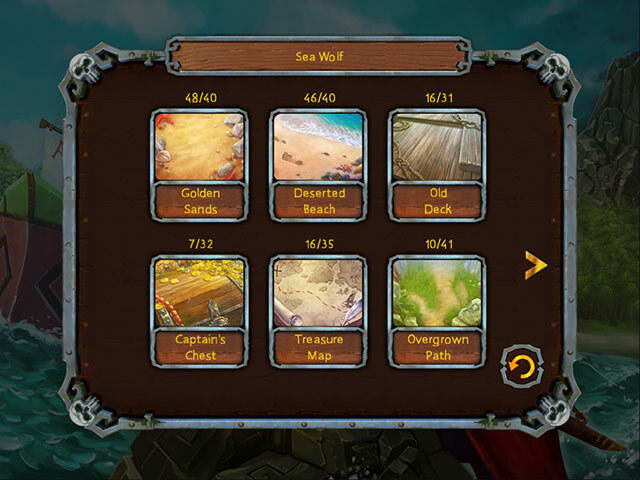 Find gold cards in each level to earn real pirate trophies! Use a multitude of bonuses, hints and helpful tools. Choose your difficulty and play in comfort. Complete all 12 trials, find the lost gold of past captains and earn a royal reward – the title of Admiral of the British Fleet! Go ahead! Hoist the Jolly Roger! Fair winds to ye, brave captain! Complete special tasks and earn 20 trophies! 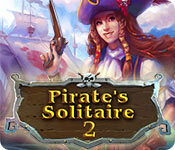 Pirate's Solitaire 2 is rated 2.8 out of 5 by 11. Rated 1 out of 5 by LogieBaby from an absolute cure for insomnia Not being a fan of computer solitaire games, I decided to give this one a whirl. I wasted an hour. This type of game involves merely matching 2 cards of the same value, a 7 with a 7 for example. There are 10 segments in each level and it looks there are 6 levels in its entirely. 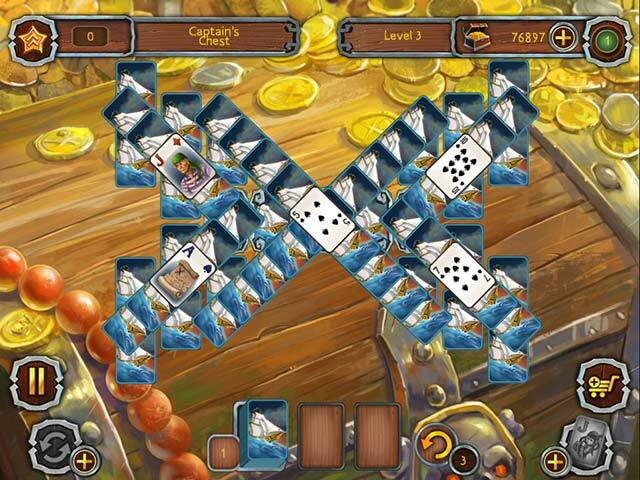 Points are accumulated by amassing jewels and coins. With these points, a player can purchase mulligans, jokers and one other thing which I already forgot out of sheer boredom. Why anyone with a few brain cells would contemplate buying this abyss of a game is incomprehensible. I fully realize there are players in the PC gaming world who feel the same when an overabundance of HOGs or Match 3's are presented. I just think this is the worst type of solitaire and should be avoided. The same game was offered by BFG within the last 2 weeks. That one was centered on bowling. Both of them have struck out. 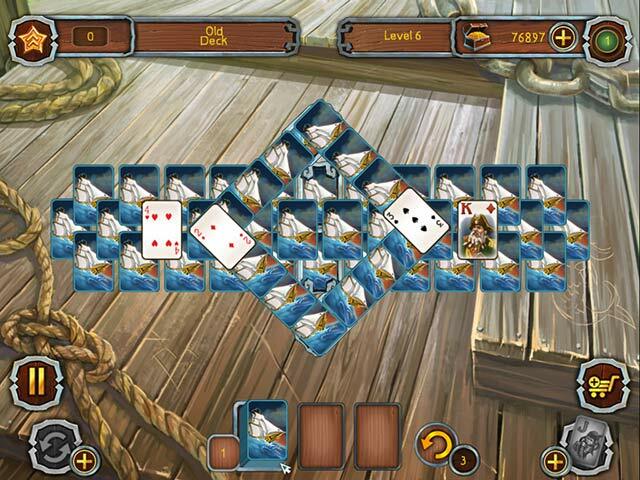 Play the new Pirate Solitaire right on the shores of Britain! Outplay seasoned sea dogs and prove that you're the best of the best!